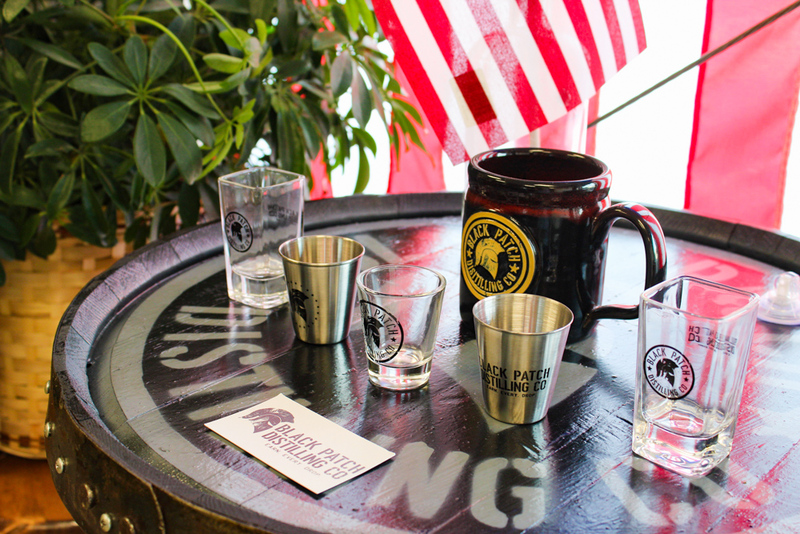 Get To Know Black Patch Distilling Company in Madison! 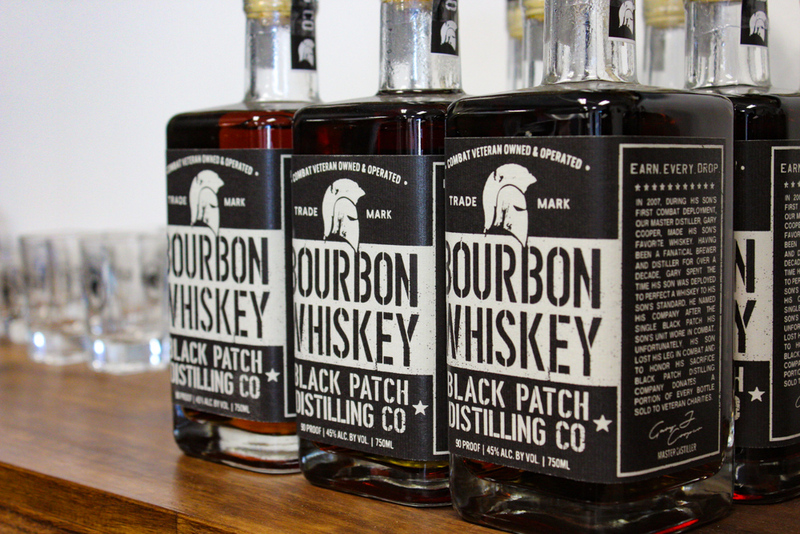 Situated in a corner warehouse space off Lanier Road, Black Patch is an up-and-coming, family-owned distillery that is quickly making a name for itself in the North Alabama area. 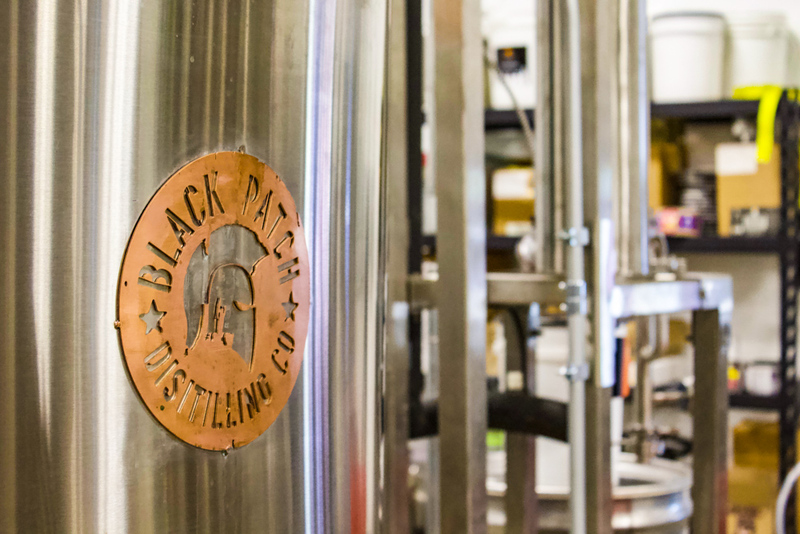 Recently, we met with Clayton for a tour of the distillery and to discuss the business, distilling process, and story behind the Black Patch label. What inspired your family to name the distillery Black Patch? Black Patch is a nod to my time in the army. I was on a special operations task force about 10 years ago. Because of the targets we were pursuing, we had to wear sterile uniforms. That means we didn’t have any rank or identifiers displayed that could make us potential targets. However, we did have two important patches on us—an American flag and a black patch. If you are wounded in action, your black patch is turned over to identify you. Each patch has a series of numbers and letters on it that ensure you are recognized and taken care of. Unfortunately, I ended up having to use mine after being severely injured in a night raid and losing my leg. Our mantra at Black Patch is “our passion is on the inside of the bottle, not on the label.” There’s nothing flashy about the black patch on the uniform, it’s what’s underneath that matters. So, the name fits well. Black Patch represents simplicity, hard work, and a passion for your country. These are tenets we carried over into the business. We also have a number of people within our family who served in the military, including our grandfathers who fought in World War II. Patriotism and service made its way into our brand. It’s who we are. All you can do is be true to yourself. The branding behind Black Patch has deep meaning. Tell us more about the branding. When we designed the bottles, we wanted a large label that said “bourbon,” along with our story on the side. It’s about what’s inside the bottle—that’s what we wanted to come across. The logo and design also have important meanings. A warfighter helmet represents hardworking people who help shape the community—such as our military and first responders. Spears cross in the front to signify the fight against new challenges and obstacles. At the bottom, you’ll see the numbers 08’, which is the year I lost my leg in combat. And finally, the 22 stars are for Alabama where our story begins. 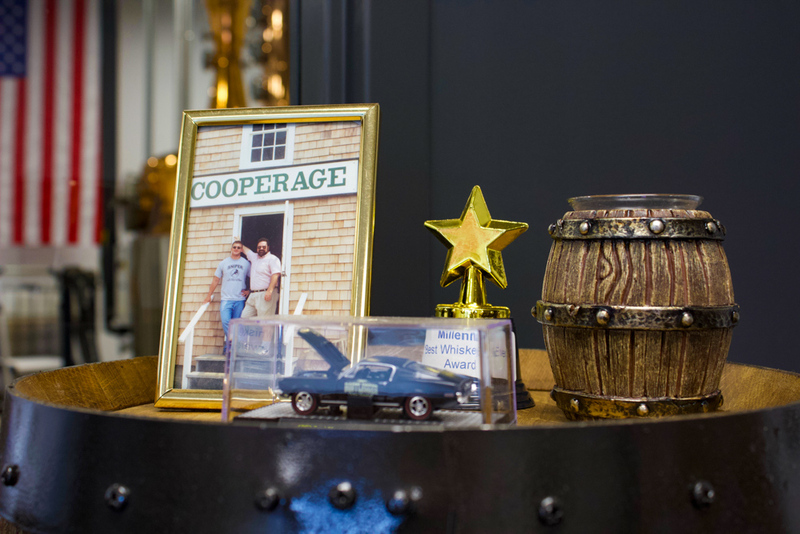 Our slogan, “Earn Every Drop,” is a testament to our stepdad who taught us to work hard and earn our way in the world. It’s wonderful advice to live by. 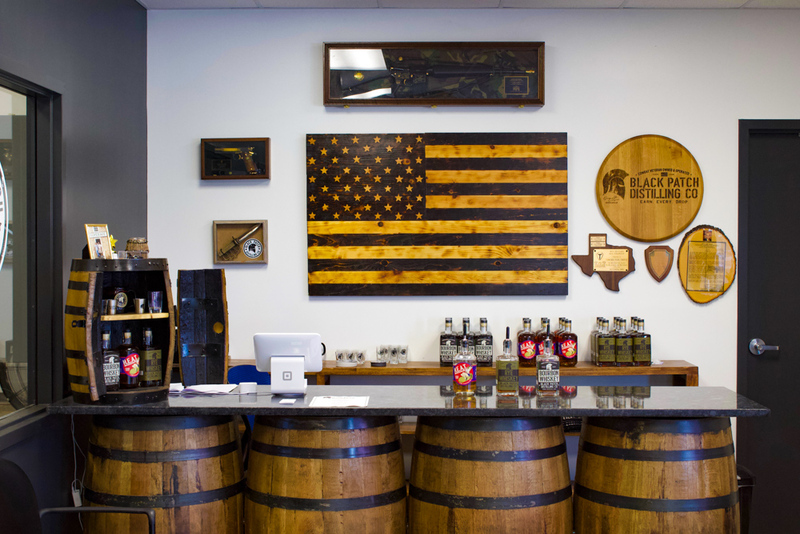 Black Patch Distillery is a family-owned business. Where did the idea for opening a distillery come from? When we lived in Houston, Texas, Gary—our stepdad—worked in chemical petroleum as a polymer chemist. By night, he was perfecting the distilling process in our backyard. It was legal to make it as long as it was less than 5 gallons and it wasn’t sold. He fell in love with the process and spent hours taking notes on how to make quality whiskey. Twenty years later, he’s become an expert. After my time in the military, my wife and I owned a technology business. We later sold that business in order to work with Gary on Black Patch Distillery. I told him that North Alabama was the place he needed to be to get this going. 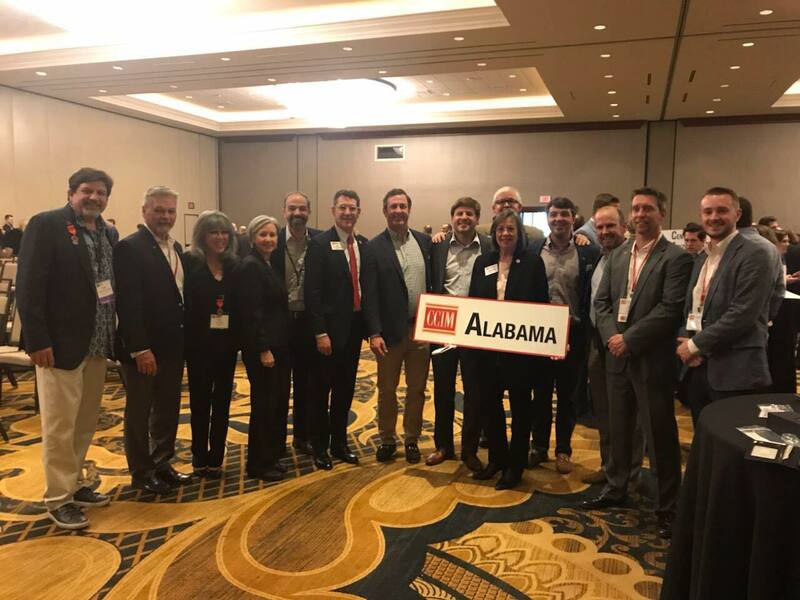 Huntsville is technology valley, and we have so many great breweries and mentors in the area. Everyone has been very welcoming and helped us hit the ground running. So the idea of opening a distillery came from Gary. We wanted to partner with him to make his dream a reality. He loves the science of distilling and I love the business and marketing aspects. Our family makes a great team. When I lost my leg, my stepfather gave me the encouragement and mindset I needed to push through. Opening Black Patch was a way for us to repay him for everything he’s done for our family. We are all passionate about the business. Why did you choose the Madison area as your location? First of all, we looked at nearly 100 potential locations or more before committing to 500 Lanier. It’s been a long process. 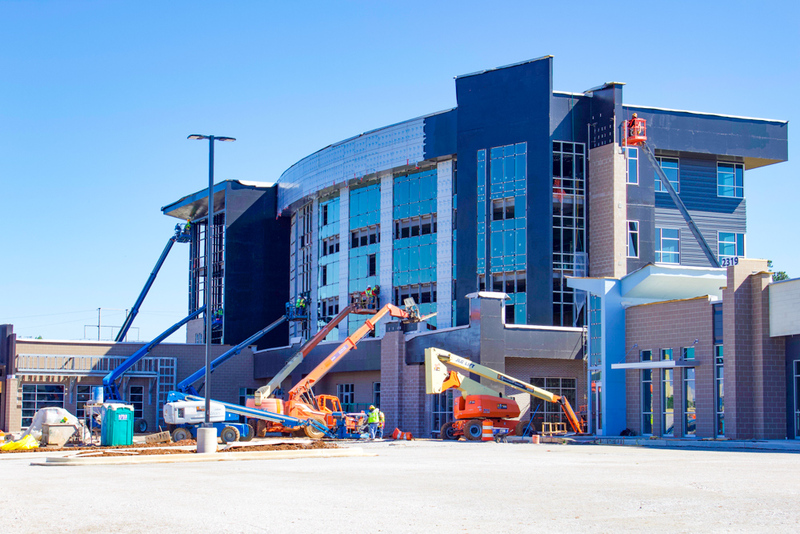 Once we found this space, we were finally able to envision our future. We needed a place that met the many fireproofing requirements for a distillery and a space that had high ceilings to house our still. This industrial space was a clean slate and it’s been a blessing. 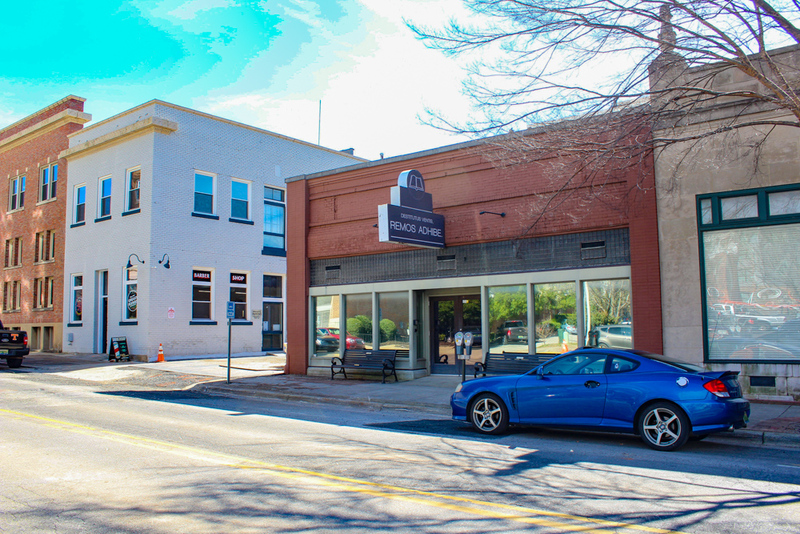 Our original business plan didn’t involve creating an event space, but we have already had several people reach out to us about using it for that purpose. 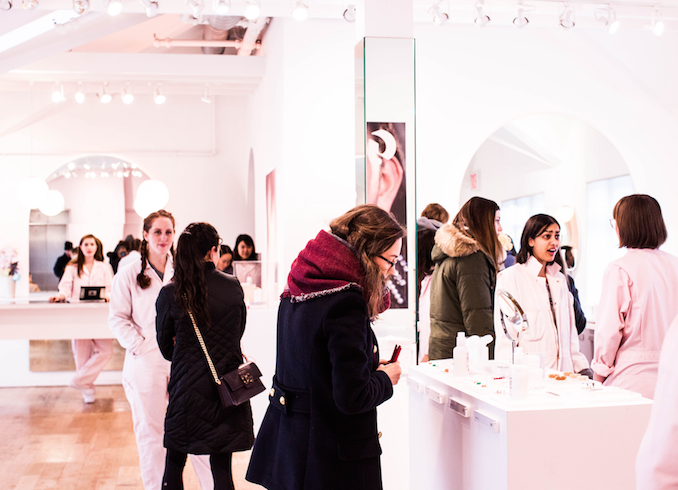 We were relying on volume production and getting into retail stores. But we have had such a phenomenal response that we may have to look into providing some event space in the future. We are waiting to see where that goes. What products do you have available? As far as products go, we currently have three staples with a fourth spirit on the way. Our standard Bourbon Whiskey is 75 percent corn, aged in new oak barrels. It’s one of the products that the ABC stores picked up when we presented to them earlier this year. 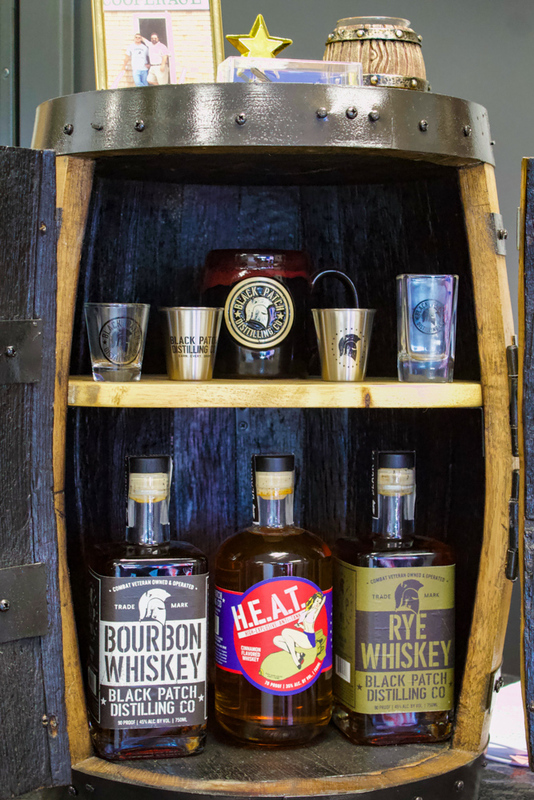 The Rye Whiskey is very smooth and aged for 2 years in 53-gallon barrels. Then we move it to 10-gallon barrels with a heavy char to negate some of the backend harshness. Our best seller is the cinnamon whiskey, H.E.A.T. I wasn’t expecting it to take off like it has, but people are crazy about it. I think the way we create H.E.A.T. is one thing that makes us stand out. My stepfather spent 5 years perfecting his recipe for cinnamon candy that ultimately ended up in our product. People have asked us for it, but it’s one of the things we will never give away. 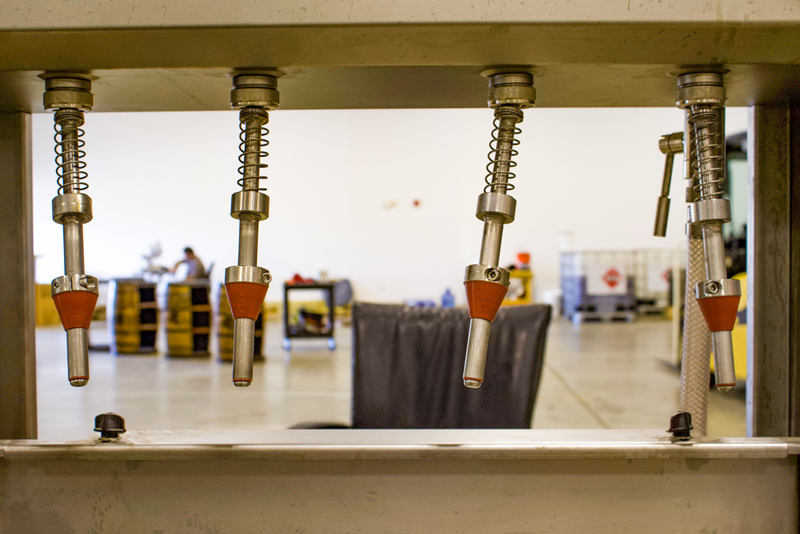 We allow the candy to naturally dissolve in the whiskey, which makes its flavor so different than other options that inject cinnamon oils and fake sugars. It took a lot of trial and error to get this product right. Lastly, we have our Mexican Blue Agave (Órale Platinum & Órale Reposado), which we just started fermenting. It’s the other spirit of ours that the ABC picked up. Typically, the ABC stores only pick up one product from new distillers, so we are very lucky that they wanted two of ours. The Mexican Blue Agave is much smoother than tequila and doesn’t have the foul smell or harshness that sometimes accompanies the spirit. We expect the Blue Agave to be ready sometime in September. People who have tasted it are ready to buy and are pushing us to get it out the door. I think it’s going to be a huge hit. Black Patch also has retail items for purchase at their 500 Lanier location! Where in Huntsville/Madison can you find your products? Commerce Kitchen currently serves a signature cocktail with our Bourbon Whiskey. It’s a bourbon mojito with berries in it called the Black Patch Berry Smash. We’re also at Below the Radar Brewing and The Railyard in Decatur. Other places have reached out to us that we will announce soon. 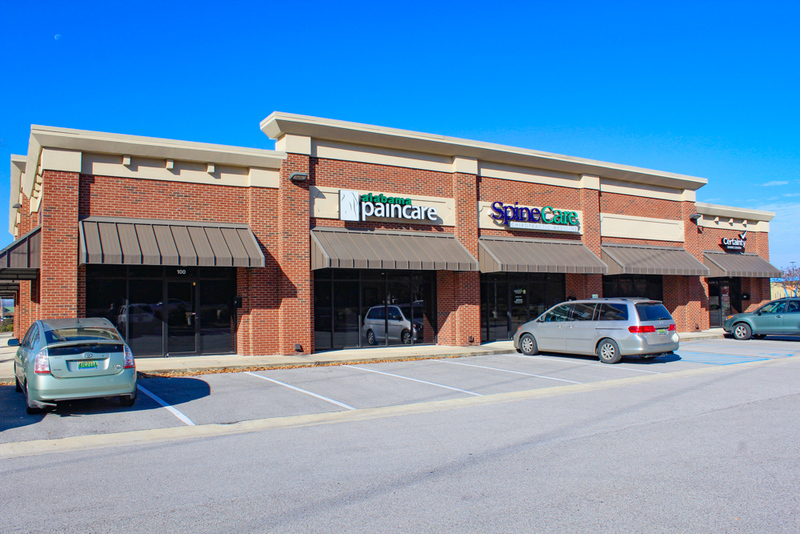 In 3 years, our goal is to be available all over the Southeast. In 5 years, we’d like to go national. We have friends all over the country who are requesting our products, so we know there’s an interest and future in expanding. Other than that, we want to increase our local footprint and grow into an event space where people can come hang out and enjoy themselves. We will see where the market takes us. Starting a new business can be scary. But we’ve always said, “if other people can do it, so can we.” And this city is the right place to make it happen. I believe in the business people here on a local level. It’s been an incredible experience. We are proud of the product we’ve created and we want to share it with you. Enjoying fine whiskey is one of life’s small luxuries. Black Patch wants to be a partner in the community that encourages local enterprises, honors hard work, and goes the extra mile to create a quality product for the city that it loves. 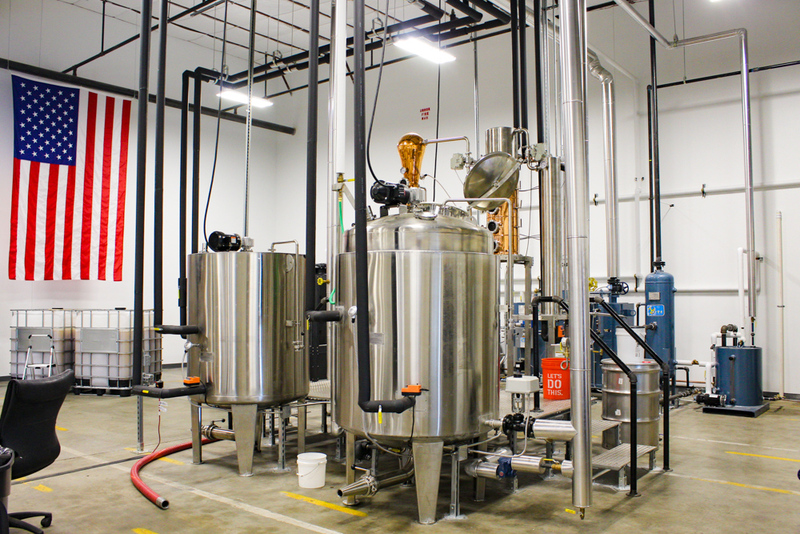 Want to learn more about Black Patch Distillery? Visit www.blackpatchdistilling.com to read more about their story, available products, and company updates. Be sure to follow them on Facebook here. Previous Previous post: Another Broken Egg Café Coming Soon To Twickenham Square!